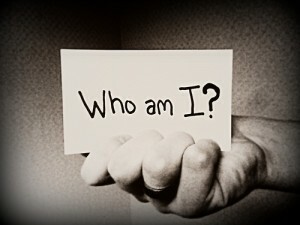 There are many of us who struggle with the question “Who Am I?” and I believe this is because we continually condemn ourselves with the mistakes we have made in our lives. Because we have had an addiction problem, been in a gang, or hurt someone emotionally in the past, we feel like God has not and will not forgive us; we feel like he is simply tolerating us! We wrongly picture God in heaven jotting down every mistake we have made, which therefore compels us to believe he is looking down on us in anger and disappointment. The word forgive means to “carry away.” This concept is portrayed in the Jewish day of atonement. The priest would kill a goat, sprinkle its blood on a live goat, confess Israel’s sin over it and then take the goat into the wilderness to never be seen again. This is exactly what happened to our sins when Jesus died on the cross. Through his death on the cross, our sins are destroyed and taken into the wilderness to never be seen again! How amazing is that?! Our sins are wiped away and demolished! So we are not the addiction problem, the gang we used to be in, the sins we have committed, the relationships we are in, and the things we have achieved. We are something far greater! WE ARE FORGIVEN! Which means God is not in heaven looking down on us in anger and disappointment, because WE ARE FORGIVEN through his son Jesus! So, “Who am I?” I AM FORGIVEN! Totally agree..Rondell you made a great statement..”God is not in heaven.looking down on us in anger.” Love this article, good job! I like that just what I needed to hear today to keep me going.